Have you ever thought about what drives the cost of car repairs? Well, one of the key factors is probably car theft. According to National Insurance Crime Bureau, parts costs were driven up an average of 4.1 in 2016 and the cause was attributed to car theft. 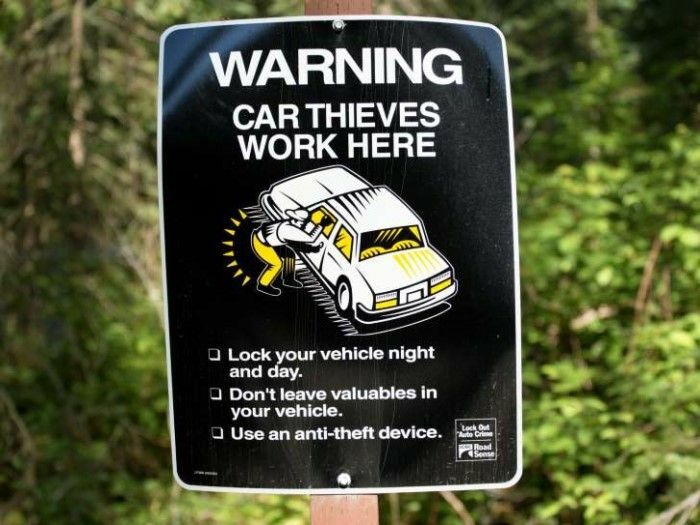 Have you ever thought about the randomness of some car thefts? Take that Nissan Altima sitting in front of your house right now. It could be gone tomorrow and, of course, you will be heart-broken and, like as not more than a little bit mad. After all, why would someone steal your Altima when there are so many out there? What do you say when they find your car missing a part or two? if they find your stolen car under an expressway overpass not too far from your home minus certain parts, like the headlamp assemblies, each of which is valued at more than $1,000 to replace. Adding insult to injury is the fact that there are 14 standard components on the 2016 Altima that cost about $14,000. Has it dawned on you yet why car thieves targeted your particular car? It is to get those valuable part assemblies. It’s quite a payday. The thief can get up to 14-grand for a quick night’s work. You, of course, have to put up with all the headaches that go with getting your car repaired, if your policy covers the parts theft. It might seem more beneficial to have your car totaled by the thieves, but that has its headaches, too, as you are likely only to get a percentage of the value you think you deserve. According to the National Insurance Crime Bureau (NICB), there is a direct connection between the values of many parts. For example, bumpers, headlights and other parts were linked by the FBI to a 4.1 percent hike in 2017 car thefts. The NICB took a look at replacement part costs for 2016’s top-10 stolen models. They then looked at prices contained in a database of more than 24 million vehicle damage appraisals, finding that bumpers, doors, fenders, hoods, and headlights had significant spots on the list. The list did not include substantial parts like transmissions and engines. The list used 2016 and 2017 insurance claims. 2016 Camry, the 2016 car theft leader, says NICB, had 15 commonly replaced parts that range in at $11,000 without labor. 2016 Altima had 14 widely replaced parts valued at more than $14,000. 2016 GMC Sierra pickup, whose list of parts included an $1,100 headlight and a $1,00 rear bumper had 20 standard components that came in a more than $21,000. The NICB is a not-for-profit devoted to fighting insurance fraud.